ENGIE España and ADISSEO Group strengthen their commitment to sustainable energy and sign one of the first 10-year green Power Purchase Agreements (PPA) between a producer and a final consumer in Spain. Under the terms of this 10-year agreement our global energy management solutions experts will cover the full supply needs of our client’s factory in Burgos throughout the contract period. The PPA guarantees that the facility will be exclusively sourced from a renewable asset under construction and expected to be operational by 2020. This long-term PPA illustrates how as a green midstreamer, we act as a facilitator on both parts of the value chain, promoting asset developers’ projects in Spain while supporting downstream clients in their energy transition. 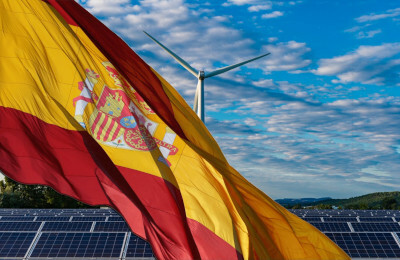 By contributing to the development of renewable energy capacity in Spain, such agreement fully supports the country in meeting its CO2 emissions reduction targets. It reinforces ENGIE’s global leadership in the development of sustainable energy business solutions for its clients. The agreement with Adisseo is the result of a long-standing and fruitful partnership and a valuable starting point for further offers, under which we will bring our expertise and financial strength to support our client in its ambition to strengthen further its leading position as a sustainable Group. ENGIE already manages about 2 GW under green PPA worldwide. The Group has signed PPAs in Europe with both industrial clients and renewable asset developers, including a 300 MW wind project in Spain for 12 years and a 208 MW wind farm project in Norway, with a 25-year PPA.